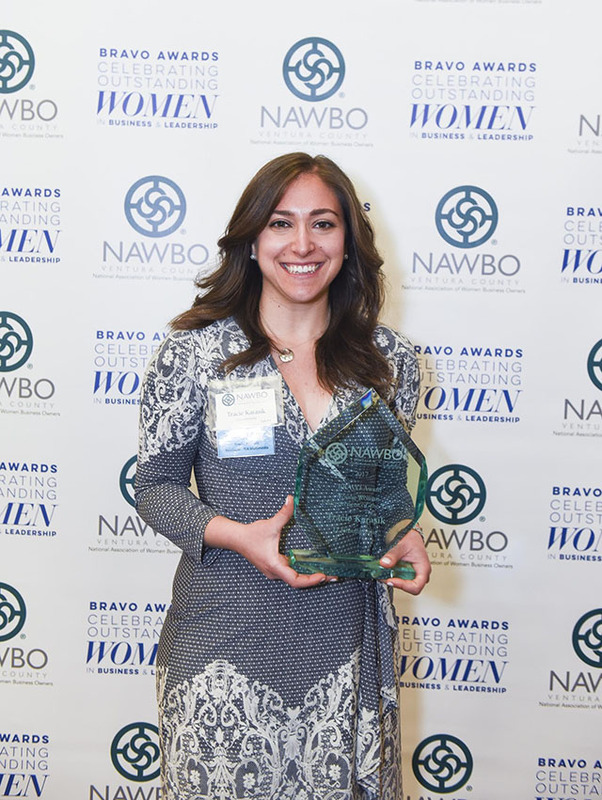 Tracie Karasik receives the National Association of Women Business Owners – Ventura County chapter’s 2017 Young Entrepreneur of the Year Award. Photo courtesy of NAWBO. Tracie Karasik speaks at the National Association of Women Business Owners for winning the Ventura County chapter’s 2017 Young Entrepreneur of the Year Award. Photo courtesy of NAWBO. At 24, Tracie Karasik had just landed a job as an account services representative for a media company. Just one day in, she had a realization. “I was only there for one day, but it was like I had an epiphany — so the next day I quit and told them I was starting my own business,” said Karasik ’11 (Multimedia Production). In 2012, with her parents’ encouragement, Karasik started her own media company, TLKmultimedia. The firm helps individuals with their photography, filming and media consulting needs and provides training for individuals learning to be technologically savvy with Apple products. She previously had worked at other media companies and decided that she was more than capable of running her own business. 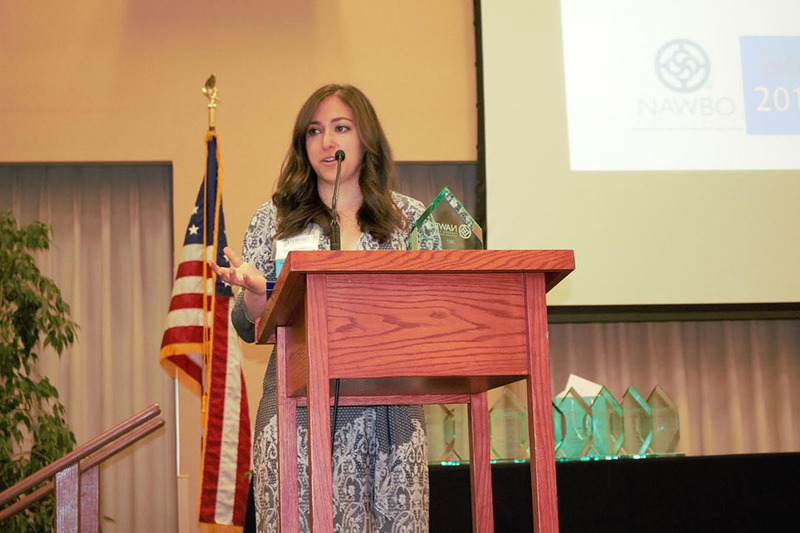 That epiphany, on the heels of her graduation from California State University, Northridge, led Karasik down a career path that recently earned her the National Association of Women Business Owners – Ventura County chapter’s 2017 Young Entrepreneur of the Year Award. The award recognizes a young entrepreneur who has made extraordinary contributions to her field. After winning the prestigious award, Karasik was overcome with emotion. The Westlake Village resident started her journey at Moorpark Community College, exploring her passions and changing majors multiple times. The best parts of CSUN were the campus atmosphere and the community, Karasik said. She made friends here and found mentors with whom she is still close. Karasik advised current CSUN students to establish relationships with mentors on campus. Karasik is looking ahead in her business. With her brand, TLKmultimedia, gaining popularity, she said she hopes to expand her company.